As we begin 2015, I'd like to take a moment to remember some retailers of years past. I considered limiting this post to Atlanta-based retailers, but decided it would be more interesting to include national operators. Some of my local favorites were Oxford Books, Little Bucks, The Toy Store and Rich's. On the national chain level, stores like Zany Brainy, Lionel Playworld, Natural Wonders, Learningsmith, Incredible Universe, Just For Feet and Filene's Basement were favorites of mine. 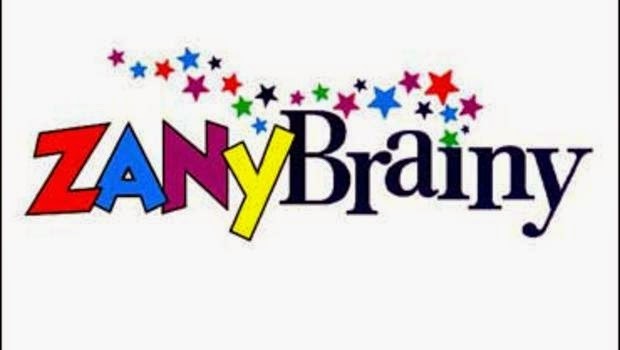 Zany Brainy had locations across Atlanta. I remember visiting their stores in Peachtree Corners, Sandy Springs, East Cobb and Kennesaw, among others. 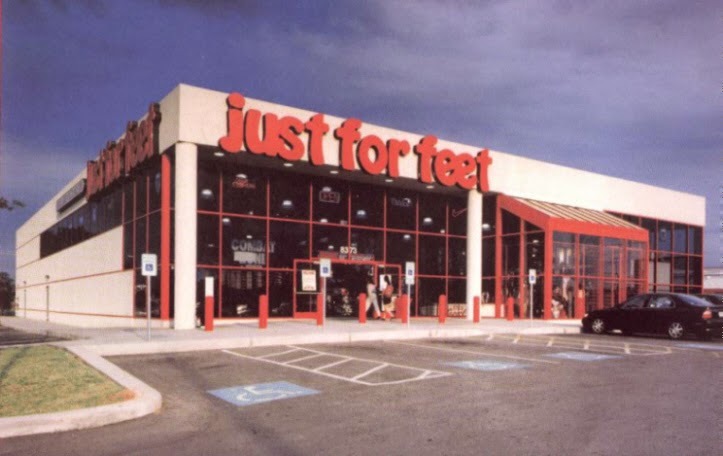 In the 90s, Just For Feet was THE place for shoes. The Birmingham-based retailer had locations in all the right areas and stocked all the right brands and even had a basketball court and free popcorn! Oh yea, just like bagels, your thirteenth shoe was free! As a kid, it could not get any better! Just For Feet's metro Atlanta presence included locations in Alpharetta, Buckhead, Duluth and Dunwoody. I recall being fascinated with a Georgia Power store in the Sears wing on the lower level at Northlake Mall. If I recall, the store was kind of a mashup between The Sharper Image and what at&t has recently debuted with their "Store of the Future." One could try out new technology products and also be educated on new services and offerings. Wal-Mart founder Sam Walton once said it was Phar-Mor he feared the most. 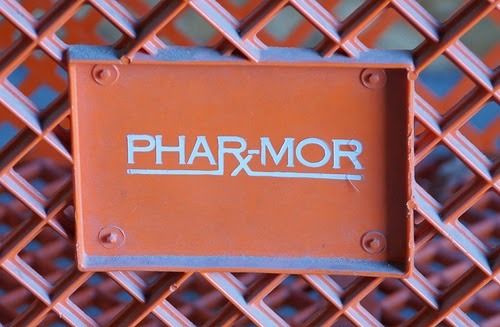 Phar-Mor ceased to exist in 2002. Friends, commenters and contributors have mentioned retailers they miss. Among those often mentioned are Woolco, Zayre, Richway, Service Merchandise, Ellman's, PharMor, Treasure Island, Drug Emporium, Chapter 11* Bookstore, Davison's, Parisian, Media Play, Big B Drugs, Storehouse, dekor, Value City, Kiddie City, Home Depot EXPO Design Center, Colonial and on a personal note, Market One. Service Merchandise was a popular catalog showrooms retailer carrying fine jewelry, toys, sporting goods, and electronics. The stores were large and are similar in some respects to the Walmarts of today. 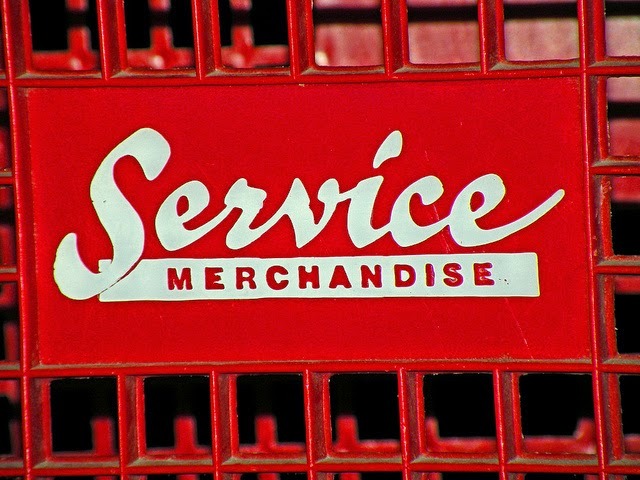 Service Merchandise had a number of metro locations including sites in Tucker, Alpharetta, Smyrna, Duluth and Cheshire Bridge Road. I'd love to hear from locals or transplants on what store you most miss or what store you foresee not making it through 2015. I miss Rich's. My mom and I used to go to the Lenox store on a frequent basis. And I definitely miss Rich's Finale store when it was downtown. I loved going to Oxford Books! The Peachtree Battle store had this fun fort that I thought was the best thing as a kid. I always enjoyed weekend trips to the bookstore. I also miss used CD stores. There was one in the Peachtree Square Shopping Center in Buckhead that had great deals. CD Warehouse, was that the name? Turtle's Records & Tapes,Record Bar,Cononuts Records & Tapes I spent many dollars at back in 1980's and 1990s. Downloading and the I-Pod killed record stores sadly. Radio Shack along with Sears/Kmart will have the life support plug pulled on them this year. Media Play. Back in the 90's, early 2000s, it was the place to find geeky stuff that nobody else carried. Straddling the retail/restaurant line, Eatzi's. And finally, used bookstores. We've lost more than just Oxford over the years. Death Watch? Radio Shack. I think Sears/KMart will hang on - Sears has Craftsman/Kenmore, which keeps it on life support, along with the overall mall anchor leasing environment right now. Ellman's was the local predecessor of Service Merchandise. They were at every mall area in town until being bought out by SM. Schlotskys. A few remain here and there. Miss the Piedmont Rd. Buckhead location. On a positive note... Nice to see the new Dunkin Donuts going up around town. Hands down best store bought coffee. Went to Service Merchandise a few times but mostly used their huge catalog as my Christmas wish list every year. I think Zany Brainy had an Alpharetta location on North Point. It wasn't open long. I have a bunch that haven't been mentioned. Peaches Records, especially the flagship store on Peachtree near Peachtree Battle. C. Edgar's women shoes, which was located in the shopping/entertainment/dining area now branded the "Andrews Entertainment District." The Buckhead Men's Shop, which was located in what is now Buckhead Atlanta. Harry's In A Hurry for great take home food. And finally -- going way back to my childhood -- S.S. Kresge's five & dime at Lenox Square before is was an enclosed mall and Cloudt's gourmet grocery store on Peachtree across from Piedmont Hospital. I miss Uptons and Mervyn's, as those were my two favorite department store chains. Kohl's is very similar, but I've never been a big fan of them. I also miss SportsTown, as I thought they were a much better store than Sports Authority and I bought quite a bit of camping gear there over the years. World Bazaar is one I remember being dragged to as a kid quite a few times. Who else remember K-Mart's failed American Fare hypermart concept over on Mountain Industrial right off of 78? Or A&P's Futurestore chain of grocery stores? The one they had on Lawrenceville Highway between Lilburn and Lawrenceville has been a thrift store for a number of years while the location they had at 78 and Killian Hill got torn down and Publix built a store there (which has since closed and is now a Burlington Coat Factory). I always thought Lechmere at North Dekalb had some cool electronics. I remember going to Service Merchandise at northlake. We bought a lot of stuff there. Then in the last few years, they put up some new wall inside and the walkable space became much, much smaller. Northlake used to have a B. Dalton, a Waldonbooks. Barwick's Pharmacy had ancient Cliff's Notes with the original pricing still in effect. I went to one or two of those 'midnight madness' sales at Just For Feed Duluth. I miss the N'lake Fuddruckers. They used to have all of these cases of Rolling Rock stacked up in there, back before they got rid of the bar. I'm surprised that the N'lake Steak and Ale still stands, with original signage. We never did eat there, though. Too high end. I also enjoyed Turtles (remember the gold coins that served as gift certificates and the stamp books?! ), as well as Electronic Boutique (Lenox), and all the arcades like Gold Mine (Northlake), Games People Play (Lenox) and Cosmos (Toco). Finally, who didn't like to look around Spencer's Gifts?! Right after checking out the overpriced clothes at the Chess King and Merry Go Round. I remember the Gold Mine chain of arcades. I remember going to the one at Southlake as a little kid. The best one was the one they had at the CNN Center. before they redid that entire food court area in the mid-90s. S.S. Kresge, which evolved (uh, de-volved) into Kmart, used to have a store in Lenox Square. It was long before the mall was covered. It was a fun store similar to Woolworth. They also had a store in the rear of North DeKalb Mall. Just as soon as I get a TARDIS, while finding time to eat at a Shrimp Boats, Casa Gallardo, Hungry Fisherman, and Oogleblook, I'll spend a few hours at the Oxford in Peachtree Battle, followed by a few hours at the Oxford Too across the parking lot for used books. Then I'd go to Metronome Music, which was a terrific record store in that mall across the street from Ansley. They had about ten copies of Tetragrammaton's pirate of John & Yoko's "Two Virgins" for $7 each just sitting there for months, and I foolishly only bought one. Also the Sound Warehouse on Peachtree, which had about a hundred cut-out copies of "Y Kant Tori Read" for a buck each. Then I'd buy all the lovely import 12-inch singles at Tower Records, and then drive to the Titan Games & Comics in Tucker, because that location had the most amazing stock of weird fanzines and small-press '80s comics. What the heck, I have a time machine, so I'll also stop at the original (?) Book Nook on Clairmont near BuHi, which also had boxes and boxes of weird small-press books and comics for $1 each. Then I'd probably pop back to 1976 or so and buy up all the Mego superheroes and Planet of the Apes dolls from the Treasure Island and Richway and Service Merchandise on Cobb Pkwy, then forward to the mid-80s and do the same at the Lionel Play World on that road. I think that the Treasure Island later became a Phar-Mor. Lastly, there was an amazing shop called Nippon Daido in that blue-roofed strip mall up the hill behind the recently-razed BuHi Flea Market, and in the late 1980s, they had shelves and shelves of untranslated comics most of which have still never seen print in English, priced at a penny to the yen. There was so much there that I should have bought. I always enjoyed Gorins on Peachtree at 14th; they had great chicken salad! For a short time at Phipps Plaza there was a l'herbier de provence store that carried wonderful bath and body products. Metropolitan Deluxe in VAHI was an interesting store. How about CUB FOODS? Bag your own groceries! I miss Hi Fi Buys stores because they carried a very complete selection of electronics from average to high end. I miss Rio Bravo because they gave you a huge plate of food for a low price in a festive atmosphere. Franklin Music, Lenox. First job out of college. I loved PharMor. The store on Buford Hwy was the only one I ever went to. It was the first place I ever saw a listening station for CDs, and was the first place I ever heard a CD. They had a great movie-rental deal, too, as I recall. 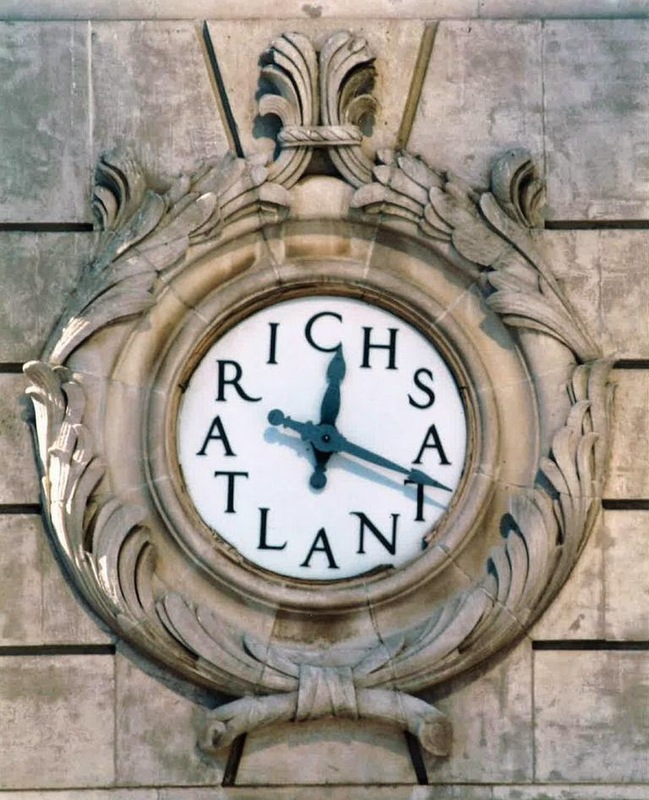 I worked at the Rich's at Perimeter Mall for a time in the late 80s. it was a GREAT store. And I really loved Service Merchandise. They had toys there that no one else seemed to have. There was a store on Roswell Road in Sandy Springs that is now a Whole Foods. I was always a geek, and Radio Shack in Cumberland Mall was my spot. They had a Tandy PC with Flight Simulator on demo. As I got older Media Play was the God's gift to the world. Anyone else remember Lionel's Play World in Smyrna? How about Big B Drugs stores? Does anyone remember the name of the bagel store at Peachtree Square shopping center on Peachtree and Peachtree Memorial. Now there's a Panera Bread, a Willy's, Staples, etc. But back in the day, early 90s, there was this fantastic bagel place - it was not a chain, at least I don't remember it being a chain. Best bagels in town, shocked when it closed.